On September 22, 1979, a US Vela satellite, designed to detect clandestine nuclear tests, recorded a “flash” off the coast of South Africa that every nuclear scientist monitoring the satellite’s detectors at the time believed fit the classic description of a nuclear explosion. President Jimmy Carter’s book based on his White House diaries notes that he was immediately informed of the “flash” by his national security team; with the information came speculation that the event was an Israeli nuclear test at sea, with South African participation. Corroborative data from different sources was immediately sought and analyzed, but much of that data and analysis has remained classified to date (nearly 40 years later), despite attempts to get the government to remove the classification. 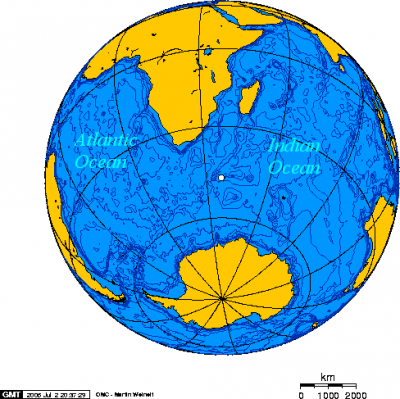 Independent scientific studies of the event have reinforced the growing circumstantial evidence that the Vela event was an atmospheric nuclear test, and that Israel was the perpetrator, with possible assistance from apartheid South Africa’s navy. The US government’s position, held to this day, was to neither admit nor deny that a test took place. A panel of scientists carefully selected by the Carter White House produced a report in 1980 that did not rule out a test, but said the probability of its being something other than a test was more likely. That conclusion is now derided by nearly all independent observers who have studied and reported on the issue. Using data first gathered by Distinguished Professor Lester VanMiddlesworth of the University of Tennessee on radioactivity found in the thyroids of sheep in Australia within the time period following the “flash,” plus meteorological data from the time and some radionuclide and hydro-acoustic data released by the US government, Wright and De Geer have produced an analysis of the Vela event that removes virtually all doubt that the “flash” was a nuclear explosion. The explosion was one of small yield, perhaps to simulate the result of firing a nuclear artillery shell. Wright and De Geer do not speculate on who might have performed the test. But none of the five recognized nuclear weapon states would feel the need to perform a small clandestine test of that kind. Similarly, in 1979, neither India nor Pakistan nor South Africa had nuclear development and logistics capabilities at a stage where a nuclear test of that kind in that area was feasible for them. Israel was the only country that had the technical ability and policy motivation to carry out such a clandestine test, which, according to some sources, was the last of several and was detected by the Vela satellite because of a sudden change in cloud cover. At a time when public demands for nuclear transparency are loudly and justifiably trumpeted toward Iran and North Korea, which are pariahs in many Western eyes, it is illogical at best and hypocritical at worst for the world, and particularly the United States, to maintain public silence on Israel’s nuclear program, especially in the face of a violation of an important nuclear norm. For the sake of future progress on arms control, on steps to reduce nuclear risk, and on honest public as well as private communication among governments and their constituents to achieve such progress, it is time to end an existing double standard that has allowed Israel to escape accountability for developing advanced nuclear weapons by violating a major international treaty. Leonard Weiss is a visiting scholar at Stanford University’s Center for International Security and Cooperation and a member of the National Advisory Board of the Center for Arms Control and Nonproliferation in Washington, DC.